Over the last few months I’ve finished detailing the Gunderson Twin-Stacks. This last bit of work focused primarily on the trucks, couplers and end walkways though I made a few modifications elsewhere as well. The first thing I had to do was modify the four 100 ton trucks that support the shared bolsters in the middle of the car. The first thing I did was shave off the molded stabilizers on the truck bolster. These get in the way of the stabilizers I need to add. 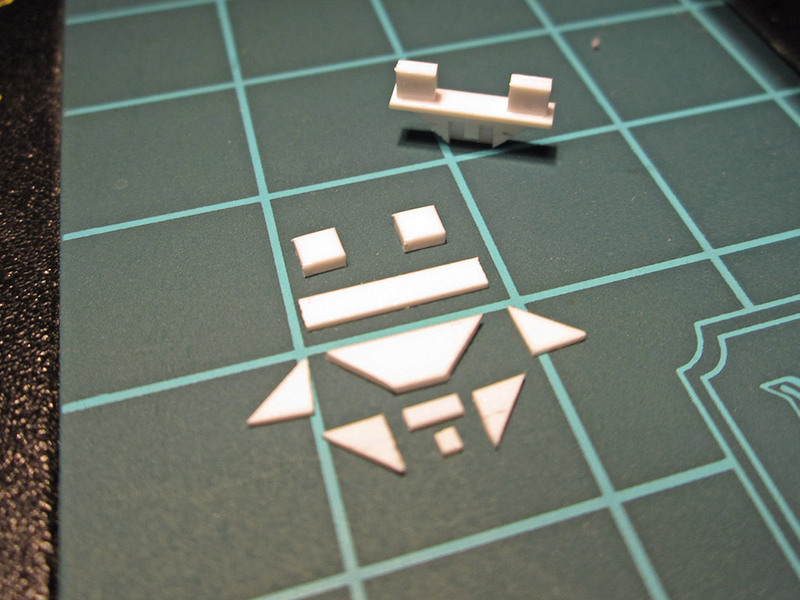 Next I broke each stabilizer down into some basic shapes and cut those out of styrene. Each one consists of 10 pieces. 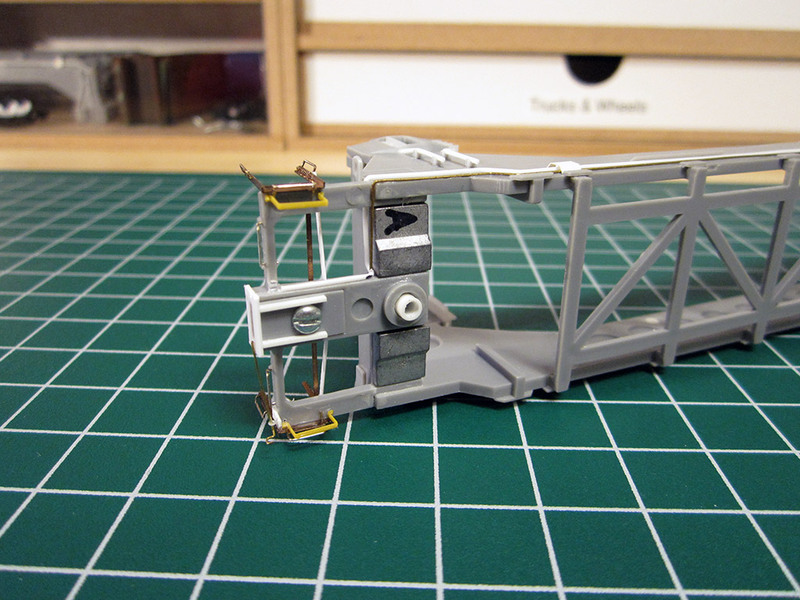 Once I had assembled the pieces, I attached the stabilizers to the truck bolster with medium CA. The stabilizers are slightly undersized so that they don’t interfere with the truck equalization or the pivoting of the platforms. Two of the trucks also have a lever for the hand brake rigging. 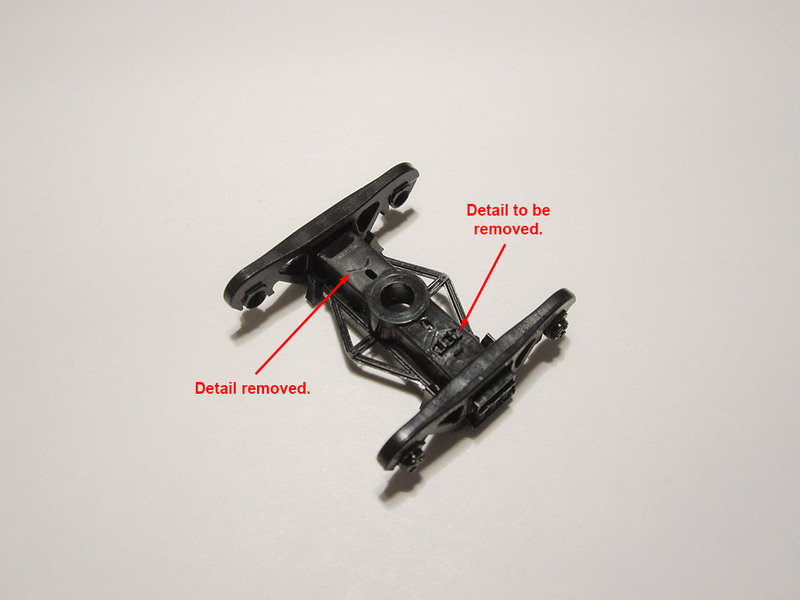 These were built from three pieces of styrene and are mounted to the inside of the stabilizer. The overall effect is very convincing. 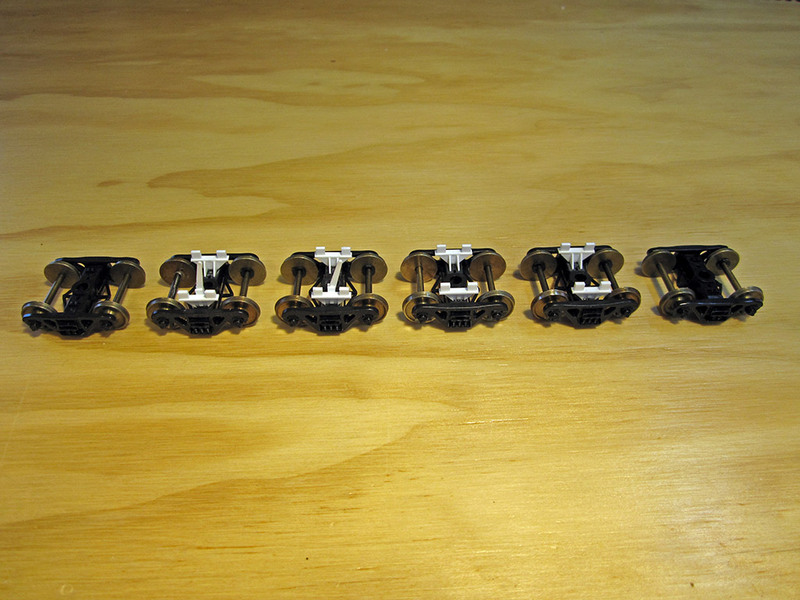 I may rig these levers with wire connecting them to the brake chain on each platform so that the cars look a bit more realistic when on static display. 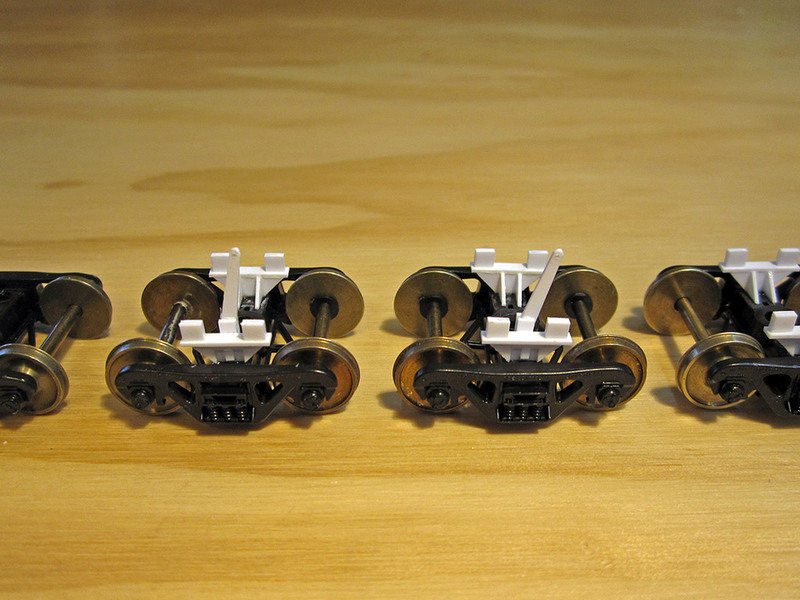 Lastly, I thought the draft gear on the A and B platforms looked a bit plain, so I added some styrene shapes to bring it closer to the prototype. Then I added a coupler cut lever to round out the detailing. I also noticed that most of these cars have an “L” shaped brace that runs from the middle of the inboard stanchion on each side to the center part of the frame. 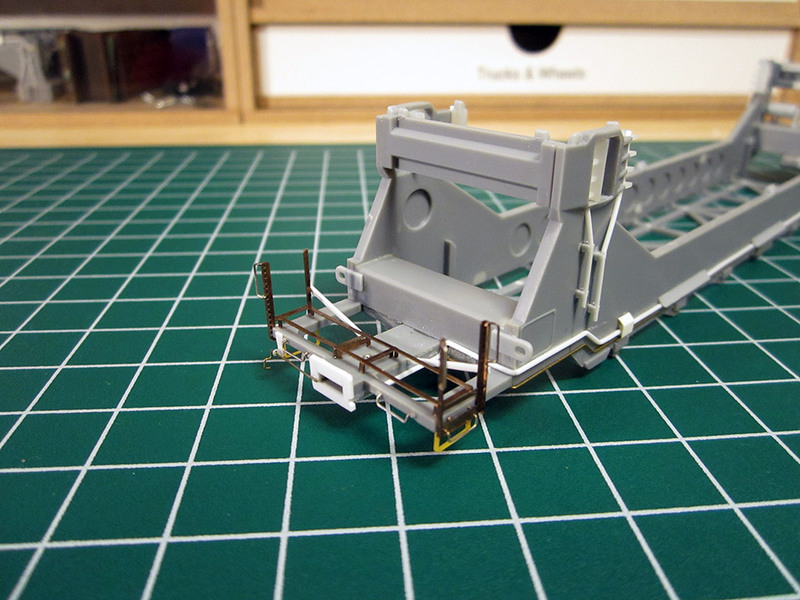 This was easily added with a bit more styrene. I still need to add train line hoses, but I’ll do that after painting as they tend to break very easily. At this point I’m all ready to paint. That should start within the next week. 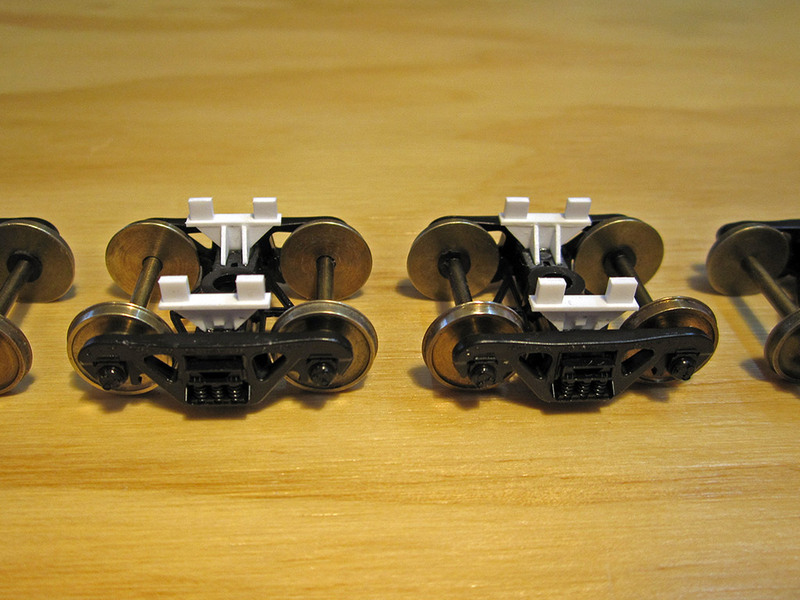 This entry was posted in Model Railroading, Proto:87, Rolling Stock and tagged BNSF, HO Scale, Intermodal, Model Railroading, Proto:87, Rolling Stock by Milepost15. Bookmark the permalink. Chris, this is a great article with a lot of helpful info. I’ve recently acquired a Proto Power West, 5 car (C) Kit and starting to gather info and materials to complete the project. I have a few Model Railroading mags but not the Aug 1992 edition. Can you tell me where I could find Jim Mansfield’s article? I’ve been searching for an archive but no luck…Have you done the painting yet? I completed the car last spring but I’ve been pretty busy this summer and have been struggling to figure out a way to get good photos of it with the camera equipment and lighting that I have available. I may try to get some shots outdoors the next time we have a sunny day. I’ll see what I can do about the article.